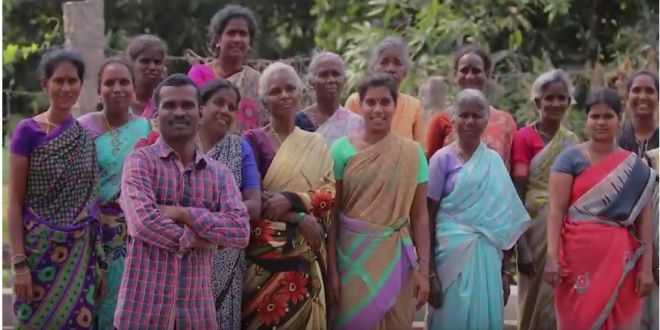 From having just 45 toilets in the village to taking it to 506, here is how A. Ramesh from Chittoor district in Andhra Pradesh made his village open defecation free. Two years ago when heavy rain hit the village of Chittoor district, ground water got contaminated with water from drainage leading to severe health issues. People from the entire village and panchayat complained of outbreak of numerous diseases. During this period, a voluntary organistaion conducted an awareness program in the village where they highlighted safe sanitation practices and the pivotal role it plays in ensuring a healthy life. The volunteers explained how defecating in the open is a health hazard and causes several diseases. 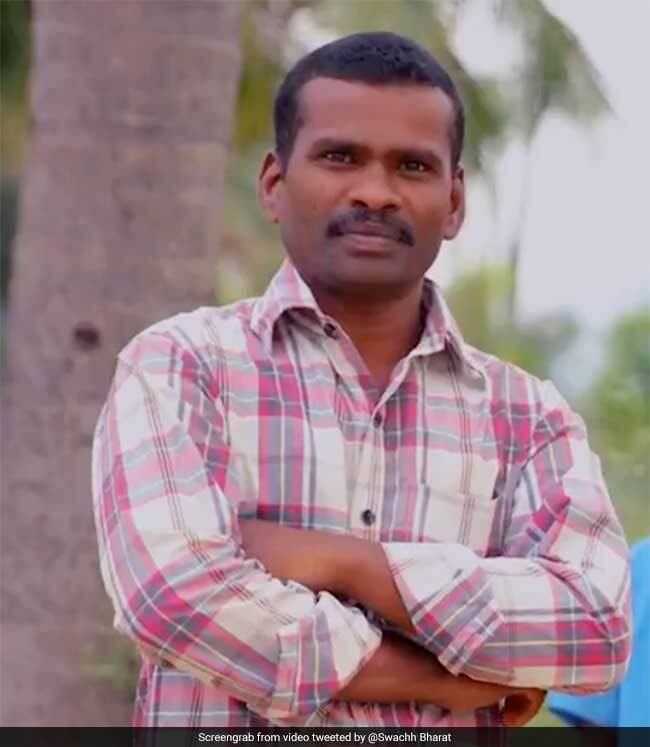 It is then that 38-year old A. Ramesh from Chittoor district of Andhra Pradesh got motivated to work for the betterment of his village and join the Swachh Bharat Mission program as swachhagrahi. Having learnt about safe sanitation, A. Ramesh first built a toilet at his home and then kickstarted the drive to make his village free from the practice of open defecation. Back then there were some 45 toilets in the gram panchayat. Today that number has gone up to 506. For A. Ramesh, the biggest challenge was to change the mind-set of the villagers. We are living in the 21st century, but our thinking is age old. We are not ready to accept the change even for our own betterment. I would have built toilets with the help of government, but what is the point of having toilets if no one is ready to use them? So, the first and foremost step was to change the age old thinking, says A. Ramesh. From interacting with people and resolving their doubts related to using a toilet to counselling people, his close engagement with the community helped him overcome the challenge. Side by side he worked on building toilets for which he had to keep a close watch on the construction, report the ground level problems to the officials concerned and get these issues resolved. I built 400 toilets and to ensure that people make use of these toilets I used to visit common defecation spots, both in the morning and evening, of all the six villages in the gram panchayat. If someone was found defecating in the open, I would ask them the reason behind not using toilets and counsel them, tells A. Ramesh. Alongwith 400 toilets built by Ramesh the villagers pitched in by building 61 toilets, taking the total tally of toilets from existing 45 to 506. Due to A. Ramesh’s determination and efforts, his village has been declared open defecation free (ODF). People in the village have witnessed decline in instances of diseases. Along with this, Chittoor district achieved ODF title this year on April 1 with construction of close to 4 lakh (3,80,339) toilets. For his unwavering focus on swachh mission, A. Ramesh was recently honoured by Prime Minister Narendra Modi at a concluding ceremony of #ChaloChamparan that was held in Bihar on April 10 to mark the centenary celebrations of Mahatma Gandhi’s Champaran Satyagraha and kickstart the final leg of Swachh Bharat Abhiyan. A. Ramesh now plans to improve the drainage system in the village. Previous Post: With the Efforts Of This 27-Year-Old From Mumbai, 300 Tribal Women Ditch Unhygienic Menstrual Practices. Next Post: Bonti Saikia from Assam Contributes To Make Her Village ODF. Gets Honored by PM Modi.